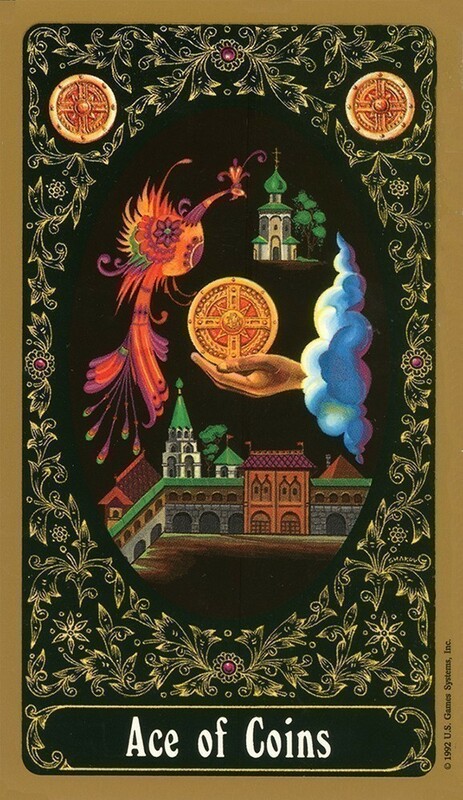 Russian Tarot of St. Petersburg was painted by Yury Shakov, an artist renowned for his lacquer miniatures and flawless depictions of Russian folk and fairy tales. 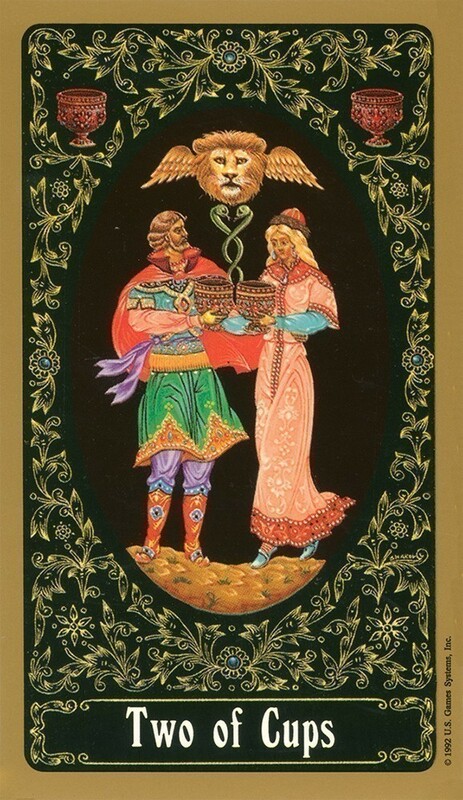 This stunning 78-card deck reflects not only his superb style and artistic expertise, but also his original interpretations of the tarot, presenting traditional tarot archetypes through the imagery of Russian history and culture. The miniature paintings in vivid colors are set on black fields framed within oval borders, reminiscent of Imperial Fabergé eggs. 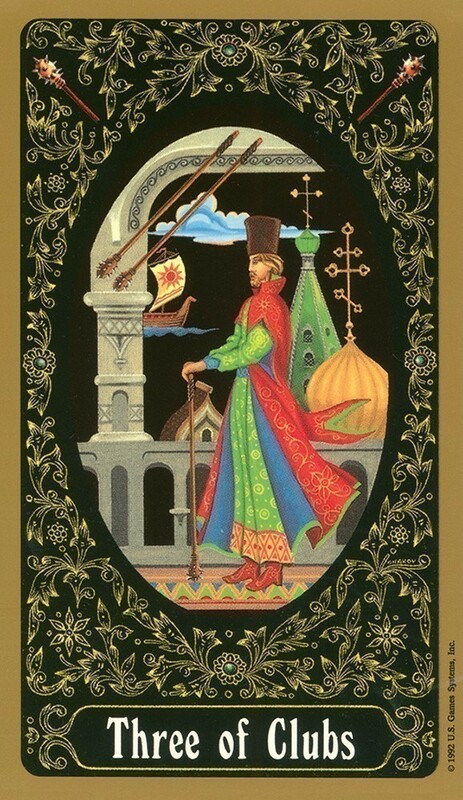 Born in Baku, Azerbajian in 1937, Yury Shakov studied art in Moscow and Palekh. His artworks are owned by many private collections and by the Hermitage Museum in St. Petersburg. The little white booklet is also a nice help. 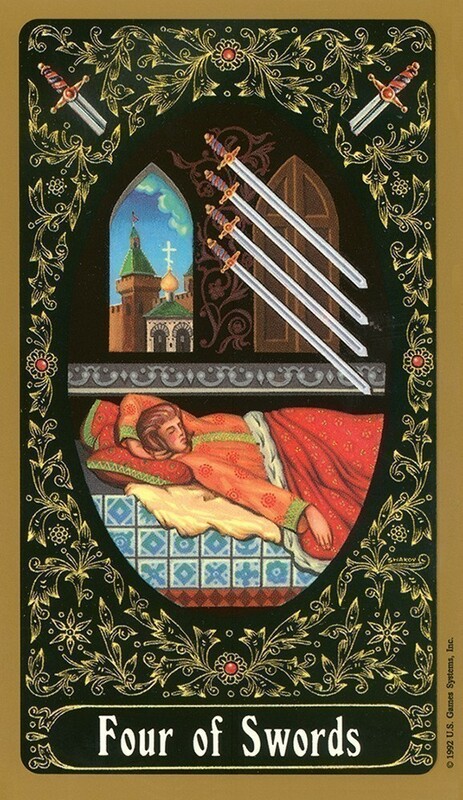 The meaning and reversed meaning are easy to find, and it has the basic ten-card spread included. 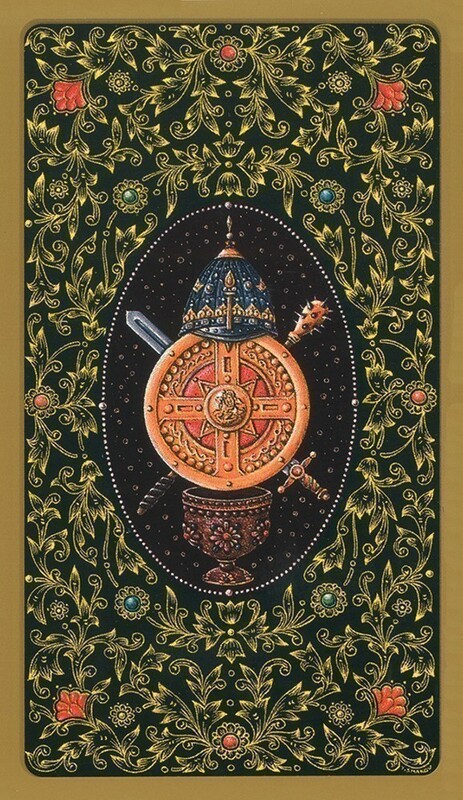 This is a truly spiritual deck to me, and I'm glad I bought it. As soon as I took it home and got it out of the box, it clicked with me. 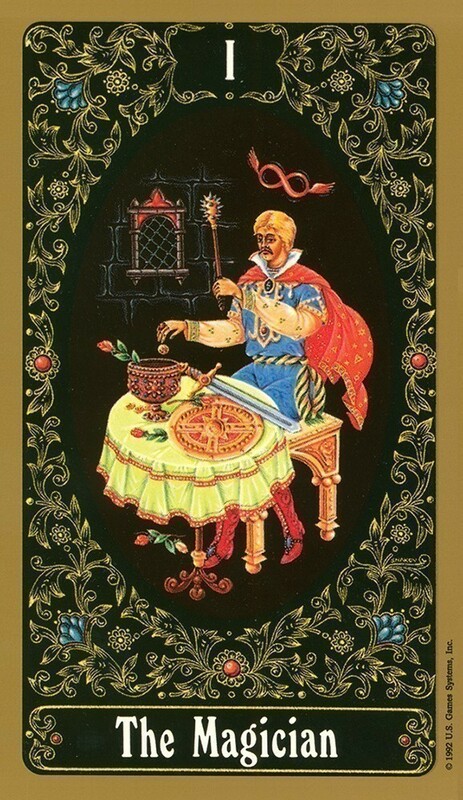 Meanings of certain cards were coming to me just flipping through the deck. This is going to be the one I can't put down.